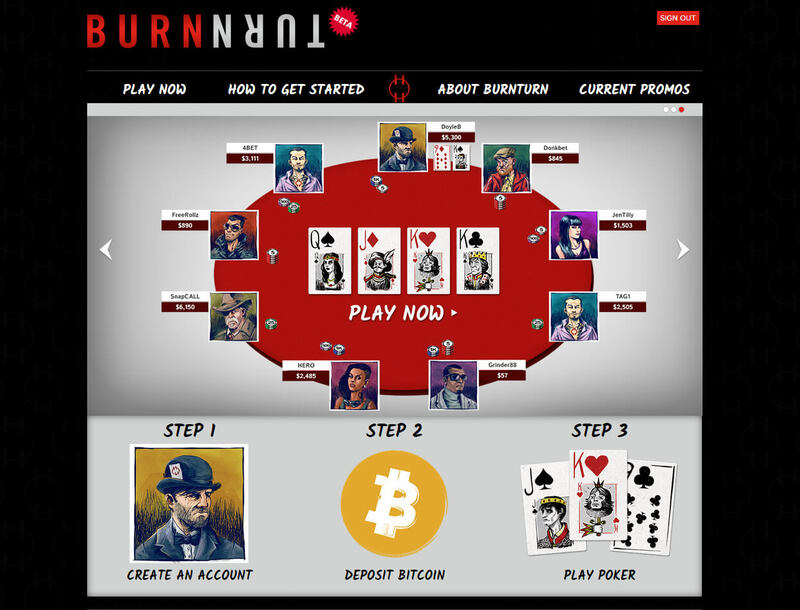 BurnTurn takes Bitcoin poker games up a notch. Unlike other online poker platforms, this website prides on its creative approach of changing the views of online gamblers. Using elements from the notorious gangs depicted in movies, this website effectively delivers exhilarating Bitcoin poker experience to bettors as they battle their way to the top. Perhaps the reason this poker room continues to make noise throughout the Bitcoin poker landscape is the simple fact that there is more to this poker site than meets the eye. This Bitcoin poker room requires its players to register before playing. Players are asked to provide a unique username and password for their account. The registration form also includes an email address field for players to fill up. However, providing this information is not compulsory, but is highly suggested. After all, email addresses come in handy, especially in cases when users forget their passwords. 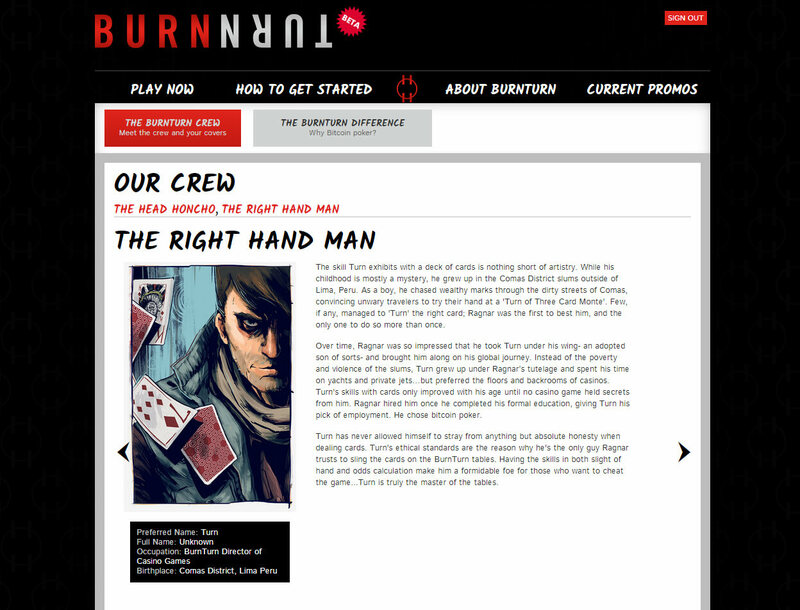 Despite bringing its interface to the next level, BurnTurn maintains the authenticity of its poker games. This poker platform delivers classic poker variants like Texas Hold‘em and Omaha. Moreover, it distributes its games using a stable, highly scalable, open-source poker platform to effectively deliver a user-friendly and enjoyable experience. Players can also expect multi-table tournaments where professional poker players can test their skills against competitors. Casual gamers, on the other hand, can still enjoy a rather relaxed gameplay as these poker variants are offered in Sit-n-Gos. Also, both poker variants are equipped with the ‘Limit’ and ‘No Limit’ versions. Meanwhile, in terms of payouts, this poker room boasts low house edge rates. Compared to other Bitcoin poker platforms, BurnTurn’s rates only ranges between 1% and 2.5%, depending on how many players are in a game. 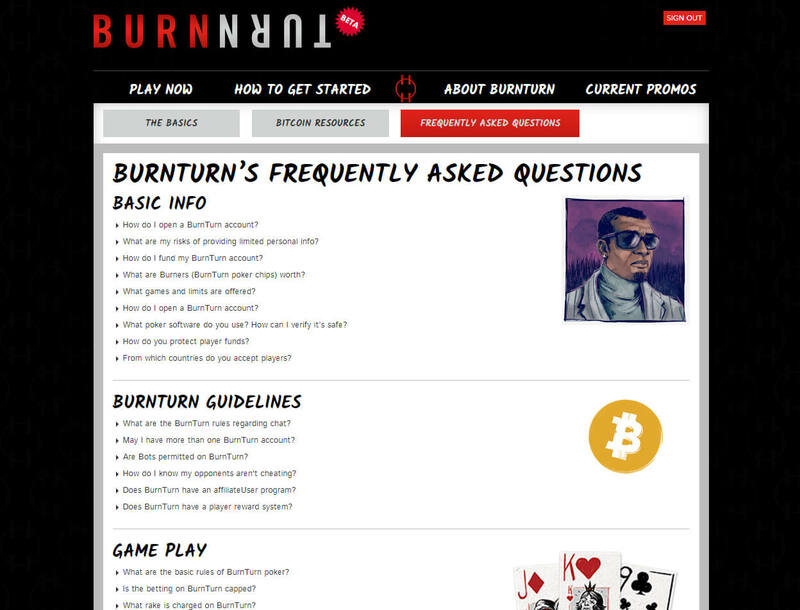 Another feature in BurnTurn’s poker game play is the usage of in-house poker chips or ‘Burners.’ These unique chips are acquired every time players initiate a deposit, where 1 BTC is equivalent to 1,000 Burners. 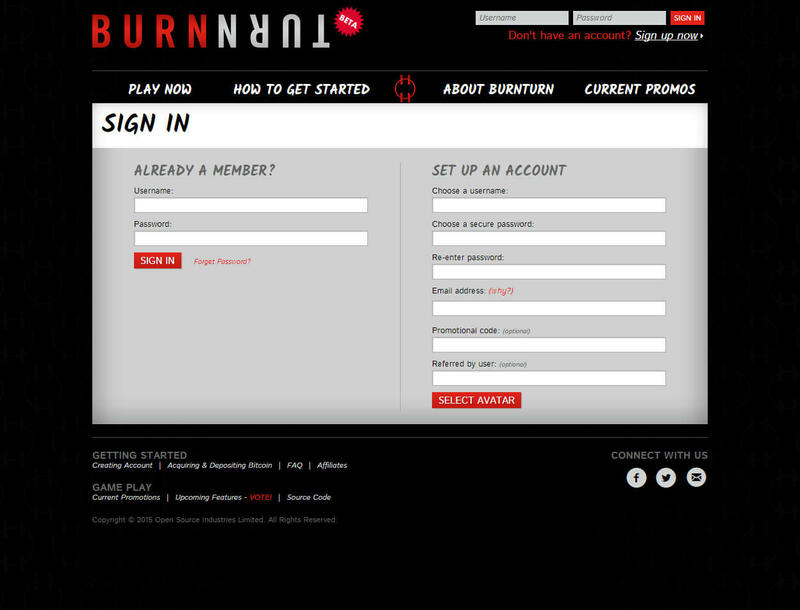 What is great about this is that BurnTurn’s system automatically converts players’ BTC to Burners to alleviate rigorous processes for bettors. Another striking factor for this online poker site is its quick and instant deposit system. Its fast transaction process only takes minutes to push through and is instantly credited to the players’ account. This banking speed is extremely rare in the iGaming business, which is why BurnTurn’s deposit system is arguably much faster than the banking systems on real-money poker sites. Meanwhile, its deposits pride on speed and its withdrawals boast maximum fund security. Players are to expect a 12-hour time frame whenever they wish to cash out their funds. Smaller amounts are processed faster while larger amounts may take longer than the expected time duration. This is done to eliminate fraudsters and scammers to penetrate and compromise the funds being transferred. Nevertheless, this poker website ensures that no withdrawals will take longer than 12 hours since it makes sure to deliver everything within the timeframe. 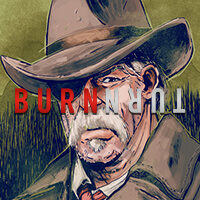 Of course, BurnTurn will not reach extreme recognition if not for its lucrative promotions and unique rewards. Players can watch out for the freerolls every hour together with 10 burners. Also, this online poker room gives away 100 burners and free rolls in its weekly special promo dubbed ‘Friday Happy Hour’ from 6 p.m. to 10 p.m.
Sunday is the best day on BurnTurn since it conducts weekly tourneys called ‘Sunday Grind,’ which offers players a chance to win free 5 BTC. Apart from festive weekly activities, this website also offers a first deposit bonus where players’ initial deposits are matched and rewarded with burners reaching up to 100. To claim this bonus, players must send BurnTurn a tweet. Bitcoin bettors are definitely going to enjoy their membership in this poker room. Not only does it have an eccentric style of delivering games, it also promises worthwhile rewards that are truly appreciated by Bitcoin gamblers, regardless of their gaming preferences.